How many pages can my book have? You can have a maximum of 70 pages. Unlike other services, we do not charge for extra pages, so the price will not change depending on the page count. You can upload a minimum of 20 photos up to 180 photos. What kind of paper do you print on and how are the books bound? We use a silk, semi-gloss, 120 lb. paper that is both acid and lignin-free. The pages are printed the full width of an open book, so there is no break across the gutter, allowing a seamless image to span the entire book width. The binding method allows the spine of the book to open fully, resulting in a perfectly flat page. Eco-friendly leather imported from Italy wraps your Montage in luxury, while high-density foam makes your Montage soft to the touch. Once it's in your hands, you'll never want to let it go. Do you make any enhancements to the photos before printing? 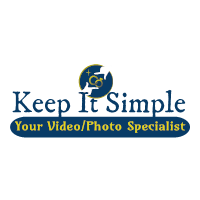 Yes we do make any enhancements to your photos -- they are auto corrected or touched up before printing.